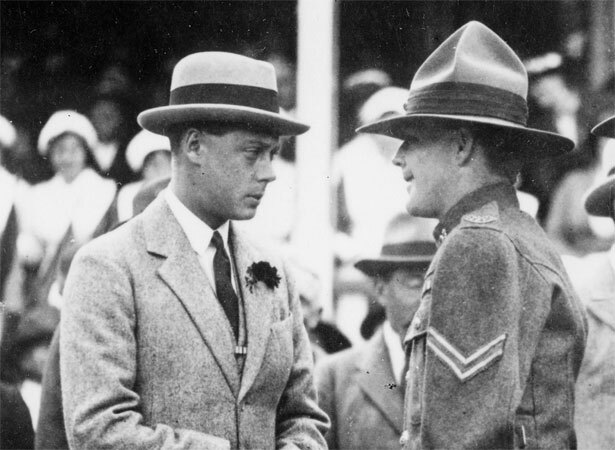 King George V’s son, Edward, Prince of Wales (who later reigned briefly as Edward VIII), visited New Zealand partly to thank the Dominion for its contribution to the Empire’s war effort. After arriving in Auckland aboard the battlecruiser HMS Renown, he spent four weeks travelling the country aboard a lavishly appointed Royal Train and by motor coach, visiting 50 cities and towns from Auckland to Invercargill. We have 1 article, related to Prince of Wales arrives for New Zealand tour .